According to Wikipedia The Greater London Urban Area is the second largest in the EU with a population of over 8 million, while London's metropolitan area is the largest in the EU with an estimated total population of between 12 and 14 million. For a city of this size, London has a surprisingly large amount of green areas. Most of them belong to many parks. The largest group of London parks is The Royal Parks, this year celebrating 160 years of existence. There are 8 parks included in this largest group, together covering almost 2,000 hectares of ground. The Royal Parks of London are lands originally owned by the UK monarchy. They used them for recreation (mostly hunting) of the royal family. There are public rights of way across the land but public access still depends on the grace and favour of the Crown. A typical British concept, if you ask me. Richmond Park is so huge there are deer roaming around free. Apart from those mentioned above there are also many other parks and green spaces located in the London area. Many are well worth visiting, so I suggest you do your research while planning your trip to London. During a recent visit to London I had time to visit a few of the mentioned parks. 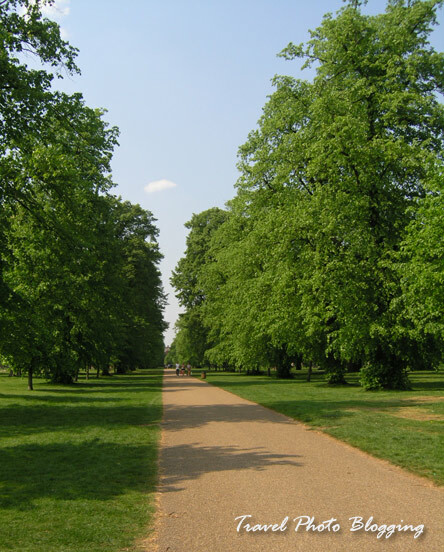 Additional information regarding the most prominent and famous of London parks - London Hyde Park and its surroundings will be introduced in one of my upcoming posts. Lovely first picture. England is indeed a "green and pleasant land"
Thanks. I really liked those green areas. The atmosphere was so relaxed there. Wow! I am mad about greenery and nature and so parks in London seem to be my cup of tea. 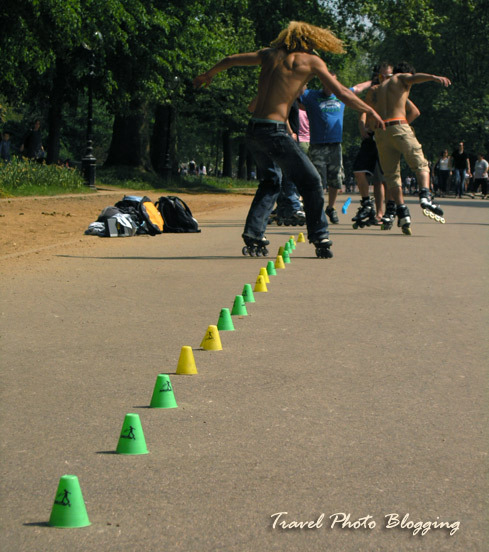 The first pic is very refreshing and eagerly waiting for you next post on London Hyde Park and its surroundings. Wow, so Paris is larger than London? I did not know that. I come from Johannesburg which is tiny in comparison and we only have about 4 million in the city and 6 million in the metro area. You and I must have been composing our posts at the very same time!! These numbers are still way higher compared to any city here in Slovenia - our capital Ljubljana is the country's largest city with a population of just over 250.000. This really is a funny coincidence! We must definitely go ahead with that idea of guest posting one day soon. Wow! That is small! Hopefully next year I will make it to your side of the world. I am planning a rail trip at the moment. And yes, any time you want to guest post! Small but charming. :) If you ever decide to visit Slovenia feel free to ask for some recommendations. Will UK riots affect tourism?